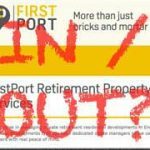 FirstPort Retirement, formerly Peverel, should not be admitted to ARMA because it has an unaccounted-for portfolio of house managers’ flats and has a track record of misleading residents when trying to sell them. These were the arguments put on Monday to Keith Hill, a former New Labour housing minister, who is the regulator of ARMA (the Association of Residential Managing Agents). In addition, it was argued that middle managers at FirstPort are remunerated with commissions for achieving the sales of these flats. 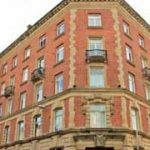 Therefore, they have every incentive to end the live-in house manager service that for many was one of the main attractions of the complex. 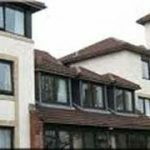 The provision of in-house managers, and the upkeep of their flats, is written into many residents’ leases. The regulator, who sits with a panel, was told of four sites where Peverel / FirstPort staff have wrongly informed residents that the house managers’ flats belonged to the freehold owning company, ultimately part of the offshore Tchenguiz Family Trust which is assumed to be for the benefit of Vincent Tchenquiz. In fact, the flats turned out to be owned by Peverel / FirstPort. In all cases, the flats had leases issued to them in 2009, when the Tchenguiz interests owned both the freeholds and Peverel. The complaint to ARMA’s regulator is the latest in a series to various authorities made by Alex Ellison, whose mother lives at Mere Court, in Knutsford, Cheshire. “ARMA should not give this company accreditation,” she told the tribunal. “The purpose of ARMA is to reassure customers that any member of ARMA is respectable and trustworthy and can be contracted to manage with confidence. “Would it not undermine ARMA to admit a company that hides behind a veneer of respectability and trustworthiness? 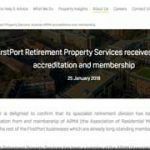 In July 2014 Mrs Ellison complained on similar grounds to the ARHM (Association of Retirement House Managers), which is principally funded by Peverel / FirstPort. 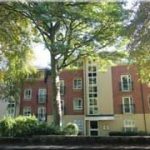 Mrs Ellison’s complaint to the ARMA regulator is more important as it is the first time that Peverel / FirstPorts unaccounted for portfolio of house managers’ flats has been scrutinised by an independent authority. The case is curious as it concerns the application of FirstPort Retirement to join ARMA, rather than a complaint about an existing member of the trade body. 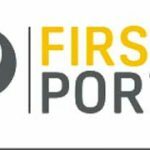 The seriousness of the issue was underlined by the presence of FirstPort chief executive Nigel Howell as well as the company’s head of legal Russell Tillison. Mrs Ellison told the panel: “I accept the matter of the purported legal ownership of the various house manager’s flat is a matter which will have to be settled in the courts and that many of the arguments related to this ownership sit outside the jurisdiction of the ARMA panel. Mrs Ellison provided ARMA with five letters and notices from Peverel that informed residents at both Mere Court and Ash Court in Cheshire that the house managers’ flats belonged to the freeholder – ultimately the Tchenguiz Family Trust – whereas, in fact, they belonged to Peverel. Peverel acknowledged that it had misinformed the residents. 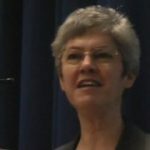 Mrs Ellison added: “On 28 July 2015 Sebastian O’Kelly [of LKP] wrote to Nigel Howell, with copies to Brandon Lewis, Peter Bottomley, Jim Fitzpatrick and Keith Hill, informing them that the residents at Sondes Farm in Dorking had been urged to surrender their interest in the HM flat in exchange for £15,000 and again the residents had been wrongly informed that the flat belonged to the freeholder (still Mr Tchenguiz or interests he controls). 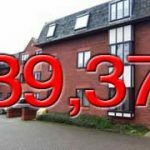 Neither of these cases has been reported on LKP: the house manager’s flat at Sondes Farm, a complex of 35 cottages and flats built in the late 1980s, was valued by FirstPort executives at £320,000. The residents voted against the move to a visiting house manager. At Homecombe House the house manager’s flat was valued at £58,000. Its proposed sale was deemed “flawed” by FirstPort and withdrawn. Mrs Ellison further claimed that the sale of the house managers’ flats would have resulted in commissions paid to the regional and area managers. This was confirmed to her in correspondence from Peverel / FirstPort on June 30 2015. “This breaches the ARMA-Q Customer Charter as a direct conflict of interest,” she claimed. 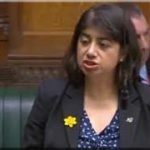 She added: “The incentive of a commission for FirstPort staff and profit for the company was inevitably likely to result in a biased representation of the advice given to leaseholders in breach of the ARMA Consumer Charter requiring action to be fair. While the regulator’s ruling will be public, the hearing was not. As a result, we do not know what FirstPort Retirement’s counter argument was at this stage. “Regarding ARMA membership, we believe the Association is very sound and like the way that ARMA-Q accreditation sets a good standard in the sector. 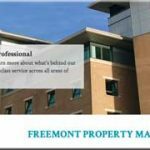 “The two larger parts of FirstPort (that address the non-retirement sector) are already ARMA members and both are ARMA-Q accredited. “We therefore decided earlier this year to also apply for ARMA membership for Retirement and, if approved, we would then seek ARMA-Q accreditation for that business too. “I am aware that in making its normal evaluation of new membership applications ARMA have received three objections to our membership relating to Development Manager Flat sales, the OFT investigation into a different group company [the Cirrus price-fixing scandal here], and misallocated payments from an Ormskirk retirement site made over the past twelve years and now corrected reported on better retirement housing here. LKP will report the ARMA regulator’s ruling when it is available. Alex Ellison deserves huge credit for persisting with this complaint. She has done so for no financial gain, but as a concerned citizen. She believes that vulnerable pensioners have been on the receiving end of corporate financial engineering, where huge profits have been mined out of residential freeholds. At one point Vincent Tchenguiz boasted of owning one per cent of the residential freeholds in the UK. But by breaking up the assets, over-valuing the fragments, obtaining gearing from banks – which taxpayers are still bailing out – Tchenguiz became one of the most important corporate players in the UK. Before the crash in 2008, he and his brother Robert were bidding for the Sainsburys supermarket chain. During the recession, the house of cards came crashing down, and in March 2011 the brothers were arrested by the Serious Fraud Office in a botched investigation. They won a judicial review into their wrongful arrest. The police investigation prompted the banks to put Peverel into administration, from which it was rescued by venture capitalists Electra and Chamonix, with a loan secured against its property assets, including the house managers’ flats. 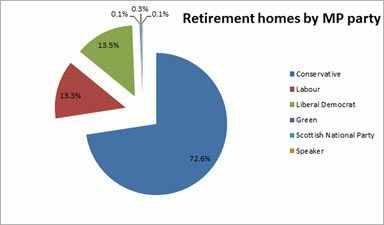 In almost all cases, these flats have leases created in 2009, even though the retirement flats were built years before. What is unexplained is why Peverel / FirstPort ended up owning these flats. If they are a communal asset of a retirement site, as many legal authorities believe, should they not be handed back? Should banks be lending to the company on the security of assets such as these? At the very least, Peverel / FirstPort should make clear to the ARMA regulator – and to the wider public, for that matter – its legal opinion why it is right that the company owns these assets. This is not a matter that is going to fade away, and in time it will unravel. The argument of the chief executive of FirstPort that these issues are “historic” is feeble. 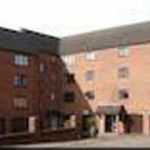 This week the Campaign against Retirement Leasehold Exploitation was contacted by residents at Crown House in Melksham, Wiltshire. Built in 1988, a lease mysteriously appeared for the house manager’s flat in 2009; a year later the flat was sold. But Peverel spent the residents’ contingency fund, it is claimed, to pay for new windows at the flat before the sale. Now they want £4,000 back. LKP will shortly raise this issue with FirstPort. Then there are other issues that may concern the ARMA regulator. For example, the Office of Fair Trading’s finding of collusive tendering by Peverel’s subsidiary Cirrus in December 2013. 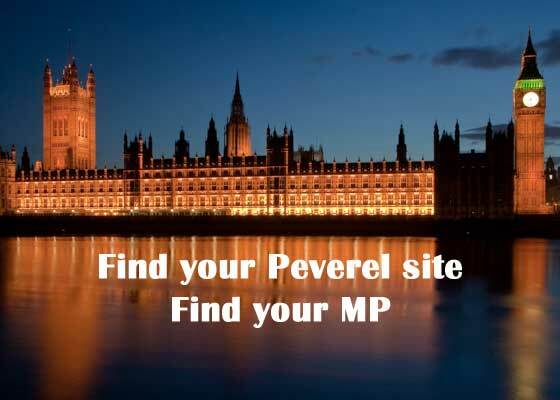 For five years the company was systematically ripping off pensioners at retirement sites managed by Peverel Retirement. 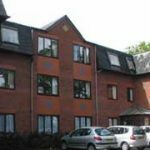 Those in ARMA with longer memories will recall the residential side of Peverel being fined the then maximum £2,500 in 2010 for failures in their accounting and management practices. 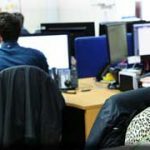 Peverel had to undertake an independent audit of its systems, and its then CEO had to write to every ARMA managing agent apologising for the company’s behaviour. Under the circumstances, the ARMA regulator may well conclude that Peverel / FirstPort Retirement is altogether too complicated a prospect to be admitted to membership of the trade body.